Dr. Dawson was born and raised in Omaha, Nebraska. She graduated with honors from the University of Iowa before pursuing her graduate education at the Illinois Institute of Technology, where she received her Ph.D. in Clinical Psychology, specializing in pediatric neuropsychology. She completed her pre-doctoral internship in pediatric neuropsychology at the University of Chicago and post-doctoral fellowship in pediatric neuropsychology at Baylor College of Medicine/Texas Children’s Hospital. Dr. Dawson was then hired as an attending pediatric neuropsychologist at Texas Children’s Hospital specializing in hematology/oncology, autism spectrum, ADHD, and learning disorder populations. Following the adoption of her first child, Dr. Dawson went into private practice in Houston, Texas specializing in pediatric neuropsychological evaluations and educational planning for children with a diverse range of medical, developmental and learning disorders. She was also a consultant for The Parish School in Houston, TX, a school for students with communication and autism spectrum disorders. Dr. Dawson and her family finally had the opportunity to move back to the Chicago area and open her private practice in Hinsdale, Illinois in 2000 where she continues to practice today. She served for a short time as the interim director of pediatric neuropsychology at Lutheran General Hospital, supervising post-doctoral fellow, intern and practicum training. Dr. Dawson has become a passionate advocate within the educational system for children and adolescents with learning differences, including those related to dyslexia, twice-exceptional learners, nonverbal learning disorder and autism spectrum disorders. She is one of the few area experts in international adoption and post-institutionalization issues, particularly as it relates to educational programming. Dr. Dawson has served on the professional advisory board as a founding member of Charlie’s Gift Center for Autism and Related Disorders and served for many years on the board of the Illinois chapter of Families for Russian and Ukranian Adoption (FRUA). She is a sought after speaker on dyslexia and has been highly involved in education and advocacy efforts for children with dyslexia, including collaborative efforts with other local and national dyslexia organizations. 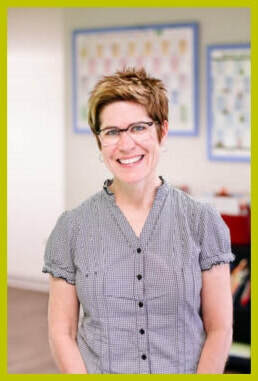 Dr. Dawson has developed a passion and become widely known for her expertise in evaluation and educational programming for children with dyslexia and language based learning challenges, including evidence based IEP and 504 plan development. She has developed an extensive network of highly reputable professional experts in numerous areas of specialty in order to collaborate as a team on behalf of the children and families with whom she works and is known for the passion she brings to her work. Dr. Dawson is the mother of two children who were adopted via international and domestic foster care adoptions. Both of her children happen to have learning differences within a sea of strengths and outstanding abilities. While her pediatric neuropsychology background has helped to inform her parenting, raising two amazing unique learners has done more to inform her professional expertise. Having two children with learning differences has taught her far more than she could ever have imagined or previously understood about what children are capable of overcoming!